Bitvavo - Can I participate in an ICO with my Bitvavo wallet? All Categories ​>​ Deposit & Withdraw - Digital Currency ​>​ Can I participate in an ICO with my Bitvavo wallet? Your Bitvavo wallet only supports digital currencies like the ones listed here. Do not try to send other digital currencies to your Bitvavo wallet, these cannot be received and will in most cases be lost. When an ICO is distributed, it is usually send back to the wallet address with which you used to participate in the ICO. Because your Bitvavo wallet cannot receive the digital currency that has been distributed during the ICO, we recommend you strongly to not participate with a Bitvavo wallet. If you want to participate with an ICO, you first have to send your digital currency to an external wallet that can receive the offered coin and do every next step required for participating in the ICO with that external wallet. Besides that, we also strongly recommend you to not send digital currency that your Bitvavo wallet does not support. Even though Bitvavo tries to make digital currency accessible for everyone, it is unfortunately not possible to receive every digital currency on your Bitvavo wallet. 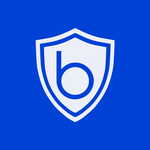 This is, besides technical reasons, put in place to make your Bitvavo wallet as secure as possible. Please always check if Bitvavo supports the digital currency you want to deposit and only then send the digital currency to your Bitvavo wallet. How can I whitelist wallet addresses?